Stuart Hughes and gadgets go well together. 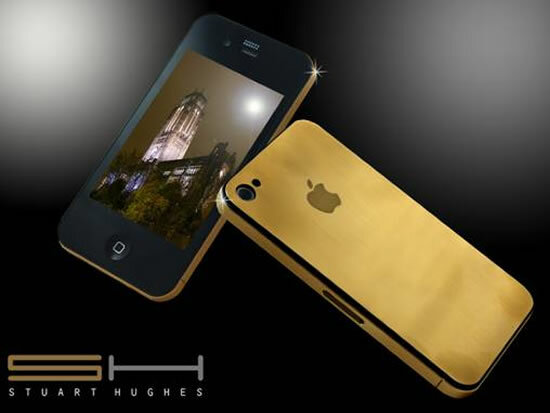 Hughes is back with another iPhone 4 this time covered in 24ct solid gold. Pricing is set at £21,995 ($33,490) and it’s available at www.stuarthughes.com.